Steel building structure design has far surpassed expectations of being boring-looking structures, severely lacking in aesthetic appeal. Steel building contractors are now trained to turn any design into a work of art, sourcing prefab steel from steel beam manufacturers. Steel has been used for creating containers that we use to ship products from around the globe and these containers were often converted into temporary offices during construction. With the turn of the 21st century, steel building designs are becoming more and more innovative due to the advancement of technology, turning the steel industry into the largest growing industry in the world. Continuous research and development are being done on steel, so much so that it is becoming lightweight and easier to transport without diminishing its robustness. 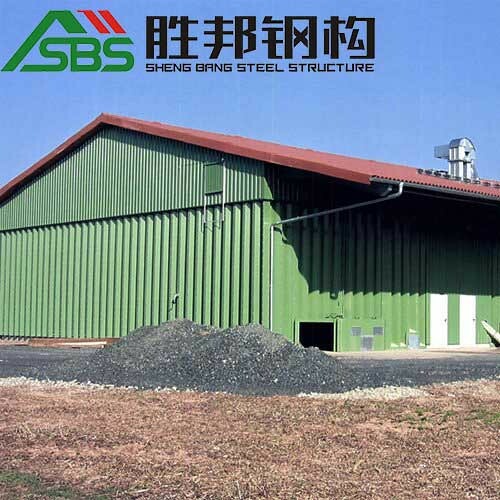 When we think of steel buildings, we think of storage facilities on farms and industrial complexes. Steel warehouses are now being used for commercial settings, for offices that need to house high-end equipment as well as offices. If you ever visited large groceries such as Costco or Ikea, look more closely at the exterior. They all look like warehouses, right? Well, they are! Long ago you would have heard the term farmhouse or barn. Well, these structures are being replaced now being built using prefab steel. You can build farm structures to house equipment such as tractors, as farm structures to house animals, and as structures to grow plants or store fruits and vegetables. Prefab steel is insulated so you can save on energy and you can build these structures as high and as wide as you like. A mall is basically a huge warehouse with multiple stories, right? You would hardly ever find a mall with a window view. When you are shopping, the view outside is not important, only the view on the inside. Malls are now being constructed using prefab steel which creates a more durable and less complex structure than traditional buildings. To minimize maintenance costs and create a sturdy and safe structure that can be doubled as relief centers when needed, has led to many school buildings being made from prefab steel. Construction time is also faster than traditional buildings so steel structures are preferred when schools need to be opened quickly, for the new school term. Areas which are prone to seasonal natural disasters and harsh weather are starting to use prefab steel. Other materials have proven to be inferior, with homeowners experiencing drastic losses in the hurricane season, for instance. Since steel can be customized and molded into any form or fashion, homeowners create amazingly beautiful designs and do not need to conform to standard designs. In the past, steel was used as the frame for skyscrapers due to its ability to hold weight. More and more, we are seeing the construction of these skyscrapers, using steel as the frame and steel or glass as the walls.